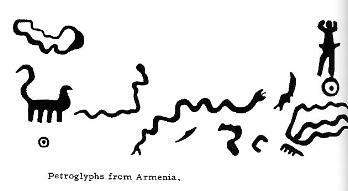 Before hieroglyphic writing was developed, between 900 and 700 BCE, people of the Armenian region expressed themselves by carving and painting designs on rocks. 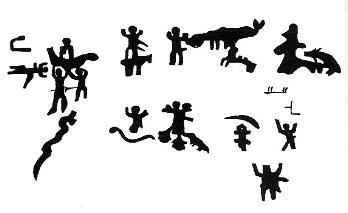 These three pictographs were executed between the 8th and 4th millenia BCE, (9000 to 3000 BCE). 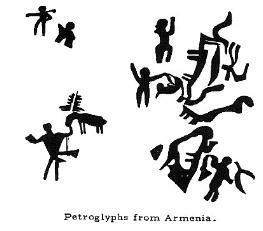 According to archaeologists the drawings are associated with Neolithic cultures, especially in the higher mountain regions (Aragats and Aghmaghan and the basin of Lake Sevan). 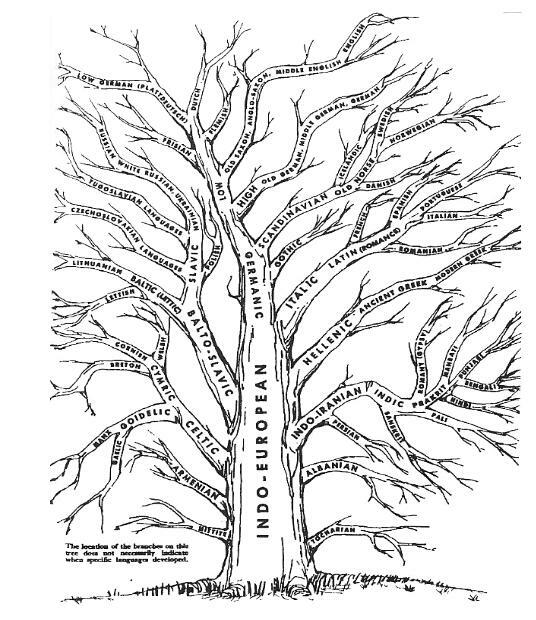 The Indo-European group of languages is one of the most widely spoken family of languages in the world. 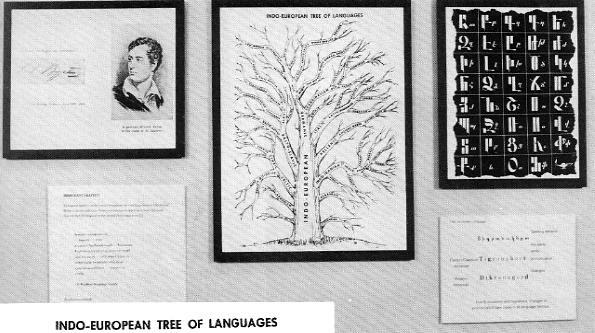 Around 3000 B.C.E., the Proto-Indo-European family of languages was probably closely unified, but by 2000 B.C.E., Greek and two extinct languages, Hittite and Sanskrit, were distinct languages. Though changes in grammar and meaning have taken place, analysis of vocabulary indicates that the people of the ancient Indo-European culture were metal-using farmers tending domestic animals. Recent discoveries suggest links to the Kurgan people, who lived on the steppes west of the Ural Mountains. 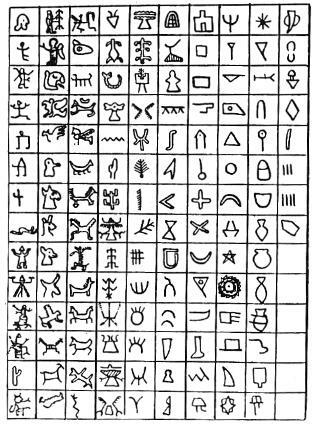 In the Kingdom of Van, 810 BCE, inscriptions of economic and sacrificial nature were written in hieroglyphics. 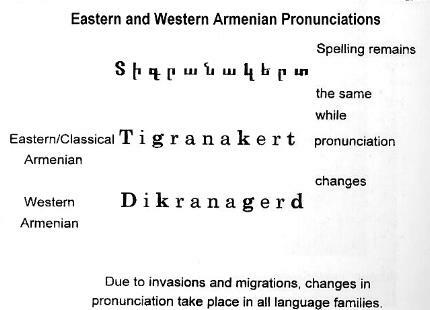 Specimens of Armenian hieroglyphics are also evident in Urartean excavations at Karmir-Blur, where pottery, bronze cups and cylinder seals were found. 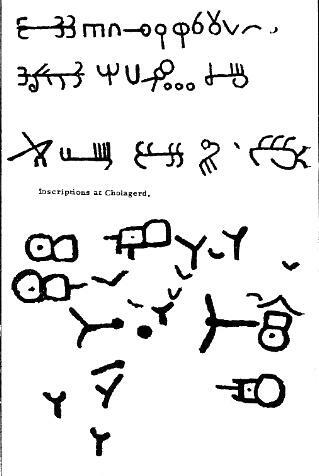 This type of writing was used by peoples living on the Ararat Plain, even before the penetration of the Urartian tribes, according to excavations at Cholagerd. 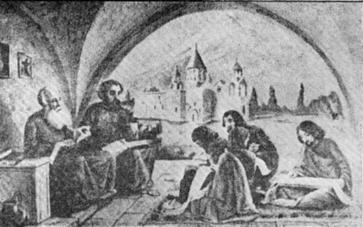 St. Sahak and St. Mesrob and their disciples translating the bible. I have hundreds of Neolithic relics I located in Arkansas with almost an identical language. 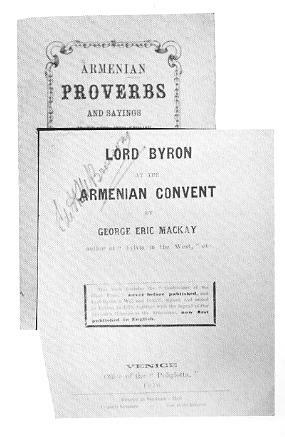 Searching through Google images is what landed my attention on this article and the glaring similarities to what is in front of me and Neolithic Urantan writings. If anyone should want to investigate the language I have from the United States, please contact me.